Each meditation in this series from angel authority Diana Cooper takes the listener on a journey to connect with the angelic realm. With information on how and why the meditations summon a specific angel and how that being can aid in healing, life affirmations, and growth, these CDs offer inspiration and enlightenment for those who are open to receiving messages. 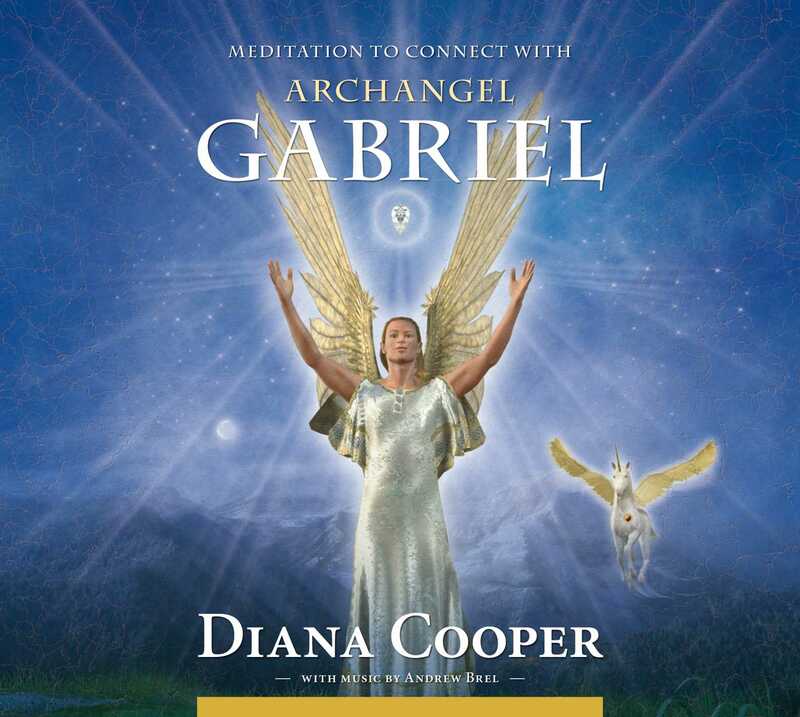 Through focused thoughts and an open mind, listeners can meet Archangel Gabriel, the messenger angel who brings guidance. Also including the use of two crystals--garnet for inspiration and clear quartz to enhance psychic gifts--this meditation offers clarity, encouragement, and motivation. Diana Cooper is a therapist, healer, author of several books, and the founder of the Diana Cooper Foundation. Her journey started during a time of personal crisis when she received an angel visitation that changed her life. Since then the angels and her guides have taught her about the angelic realms, unicorns, fairies, Atlantis, and Orbs as well as many other spiritual subjects. Through her workshops and therapy practice she has helped countless people find their life mission, fulfill their potential, and empower their lives. Diana’s aim and vision is to light the way to enable children, adults, and the planet to ascend graciously and happily.